With around 46 games left, the AL playoff picture is starting to come into sharp focus. The Toronto Blue Jays’ trade deadline acquisitions have proven to be just the key ingredients to help them zero in on the division-leading New York Yankees. The Blue Jays are 0.5 games behind the Yankees and have seven games to play against the division leaders, after going 1-3 against the Bronx Bombers this past weekend. What about the other two divisions and the two Wild Card teams? The Royals have a safe 11.5 game lead in the AL Central, and no team looks to give them a run down the stretch. On the West Coast, the Astros have the pitching to lead them deep into the playoffs, while the early favorite Angels have been struggling of late, going 4-6 in their last 10 games. It’s been a one-man show with Mike Trout, but he can’t do it all. There’s no questioning the talent on the Angels’ roster, but they can’t fall too far behind as Baltimore, Texas, Minnesota, and Tampa Bay are only 1-2.5 games behind them and the Blue Jays for the Wild Card spots. Moving forward, I want to focus on my projected division and Wild Card winners, and the players that have helped not only their respective teams, but fantasy teams throughout the season and moving forward. I know a lot of Yankees fans won’t be happy to read this, but I like the youth the Blue Jays bring to the table. With no position player or designated hitter over the age of 34, they have a lot of players in the prime of their careers. I’m not saying there is much of a difference, but the Yankees have Mark Teixeira, Alex Rodriguez, and Carlos Beltran over the age of 35. It’s not that they aren’t producing, but there is a grind to be endured over a Major League season that spans over 162 games, not including the playoffs. These players have been warriors, but the slightest missteps could lead to nagging injuries that could hamper them during the playoffs. I didn’t see Tulo staying healthy for an entire season. I knew he would be moved, but I was concerned with his health history. He’s managed to stay healthy for an entire season and he’s helped his fantasy owners throughout the grind of the 2015 season. Since being acquired by the Blue Jays, the shortstop struggled a bit from the .300 average he left with while still a member of the Rockies. He’s slashed .217/.338/.400 with Toronto as opposed to .300/.348/.471 with Colorado. His OBP is almost identical, but his average and SLG is way down. I attribute this to better pitching he’s seen while being a member of the American League. As the season progresses, I project Tulo to increase his three home runs and seven RBI in 16 games. There was no question the Blue Jays needed a true number one starter. They went out and traded for arguably the best starting pitcher available on the market. Price has been dominant all season, going 11-4 with a 2.41 ERA and 162 strikeouts to only 34 walks. Since being acquired by the Blue Jays, Price has gone 2-0 in three starts with a 1.61 ERA and 24:5 K:BB. Price is no stranger to the AL East after spending his first 6.5 seasons with the Tampa Bay Rays. If it came down to the Wild Card play-in game, I can’t think of a better pitcher to have leading a team. He’s easily been a top-10 starting pitcher in fantasy baseball as well. It’ll be two straight seasons that the Royals have won the AL Central. Last season they represented the American League in the World Series and there’s no reason why they can’t do it for a second straight season. Their pitching staff has been one of the best, if not the best, in all of 2015 and it should help them get deep into the playoffs. With no other team making a push for the division, they are the clear winners. The team representing the AL in the World Series will be either the Royals or the Blue Jays. If it comes down to pitching, the Royals have a huge edge. There was never any questions regarding the talent and potential of the third baseman. However, in five seasons Moustakas has slashed .243/.299/.386. At 26, there is still time for his full potential to come forward, but the Royals had to be searching for replacements just in case he put together another forgettable season. He was a player I didn’t have on my radar when fantasy drafts rolled around. There were better options than Moustakas, and I’d take a chance on grabbing a third baseman off the waiver wire rather than take a risk on Moustakas. Moustakas has paid big for owners that took a chance on him. He’s slashed .276/.343/.418 with 11 HR, 44 RBI, and 51 runs. With around 50 games left, Moustakas is on pace to have a career year. The Royals currently sit 7th in MLB in team ERA (3.56) and 2nd in the AL. They have a team WHIP of 1.26 and are only behind six other teams for the least amount of home runs given up in MLB, but second overall in the American League. The Royals have a top-10 pitching staff in almost every pitching category, aiding to the old theory that pitching ultimately wins World Series. Moving forward, the Royals will be lead by the likes of trade deadline acquisition Johnny Cueto, Edinson Volquez, Wade Davis, and Greg Holland. All four of these pitchers need to be owned in all fantasy leagues moving forward. Hopefully, you took a chance at landing any of the bunch before your trade deadline passed. Only 2.5 games behind the division leading Houston Astros. The Astros pitching staff has been as good as anyone’s in MLB, but I project Mike Scioscia to work his magic and get the Angels atop of the AL West. There’s no questioning that the Angels have arguably the best player throughout MLB in Mike Trout. However, Trout can’t do it by himself. He absolutely needs a supporting cast to alleviate some of the pressure of having to produce all of the offense. Is there anything I can tell you about Mike Trout that you don’t already know? A little over a week from turning 24, Trout has already been named MVP of two All-Star games and was the 2014 American League MVP. How many players in MLB’s history have had this production this early in their career? When analysts and commentators suggest we are looking at the next great equivalent to the likes of Mickey Mantle and Ted Williams, they aren’t overestimating. Trout is the real deal. Up to this point of five seasons, the centerfielder has slashed .305/.395/.599. Unbelievable! He was easily the number one overall pick in all redraft leagues and he’s graced owners with a .298 average to go along with 33 HR, 71 RBI, and 10 SB. He’s three home runs shy of tying his career-high, and 40 isn’t out of the question. After an injury-plagued 2013 season, Pujols responded in both 2014 and 2015. After a slow start, the 35-year-old first baseman has exploded for 31 HR, 67 RBI, and 64 R. He’s below his career slash line of .314/.399/.584 with .253/.312/.501, but he’s been huge for the Angels and fantasy owners alike. He’s been a machine throughout his career and is easily a first ballot HOFer. I’d love nothing more than to see Pujols carry the Angels deep into the playoffs, to add to an already historical career. They’ve managed to stay atop the AL East all season, and owe a lot of that to the health of Masahiro Tanaka. I truly believed his UCL would completely tear and he’d be on his way to Tommy John surgery. That hasn’t happened and Tanaka has been one of the best starting pitchers in all of baseball. They’ve gotten much needed production from Brett Gardner, Mark Teixeira, and Alex Rodriguez. It’s amazing what Rodriguez has done after missing all of the 2014 season. Not to mention, he’s produced after turning 40 at the end of July. Regardless of anyone’s stance on A-Rod, he’ll easily go down as one of the best hitters of all-time. Whenever the old jerks get off their high horses, I hope to see all of A-Rod’s era in the HOF. He’s pitched extremely well since damaging his ulnar collateral ligament last season. Looking at the production (9-5, 3.56, 100 K) you’d never know there was anything wrong with his elbow. That being said, it’s only a matter of time before the ligament rips, but there’s no denying his dominance. In two season, the 26-year-old righty has gone 22-10 with a 3.12 ERA, 1.04 WHIP, and 2[41:43] K:BB. The Yankees have managed Tanaka perfectly, and he could single handedly carry this team into the World Series. If you’re an owner that managed to acquire his services in fantasy baseball, there’s no better pitcher to have on your staff. He’s the oil that keeps the engine running smoothly. There’s no questioning what Gardner means to the Yankees. He always gives his all and would step in front of a train to get the Yankees a “W.” He’s not going to hit 30 HR or drive in 100 RBI, but he does the little things correctly. On the season, Gardner has hit .283 with 11 HR, 52 RBI (six away from tying career mark), and 16 SB. He’s the perfect player to have on your fantasy roster as a third or fourth outfielder. He’s a sure bet to score 90 runs and gives you solid production from an outfielder that won’t go in the first quarter of a draft. I never thought the Astros would rise to the top of the AL after switching divisions in 2013. Their pitching has been, arguably, one of the best in all of baseball, and they’ve produced a lot of offensive talent lead by second baseman Jose Altuve. They can compete with any team in baseball, and I wouldn’t be shocked if they played either Kansas City or Toronto in the ALCS. They are atop the AL West right now, but I truly believe the Angels will catch them as the season rolls to an end. At 5’6″, Jose Altuve proves that size doesn’t always matter. He’s coming off a 2014 season that saw him hit .341 with 225 hits. He hasn’t missed a beat in 2015, hitting .302 with a career high of 9 HR and sitting at 49 RBI, only 10 away from tying his career high. In four full-seasons, Altuve has stole 30+ bases and should amass 40 stolen bases this season. He’s dynamite for a second base position that lacks depth. He’s the type of player that one would love to have, and if you don’t reach for him you’ll never get him. I would compare Altuve to the Yankees’ Brett Gardner, as they are both players that play the game correctly and are the sparks to their teams’ success. The 2015 All-Star Game starter has been phenomenal for a second-straight season. If 2014 didn’t speak volumes, Keuchel has gone 14-6 with a 2.36 ERA, 1.01 WHIP, and 1[51:40] K:BB. I struck gold after an owner released him before the season started in a league I won’t mention. If you’re an owner of Keuchel, you know what he brings to the table, and he’s the perfect pitcher to rely on if the Astros find themselves in the AL play-in game. For a pitcher that didn’t go in the first three rounds of the draft, if not later, Keuchel has been one of the most consistent starting pitchers in 2015. He’s aided the Astros to the top of the AL West and should continue the trend into the fall. 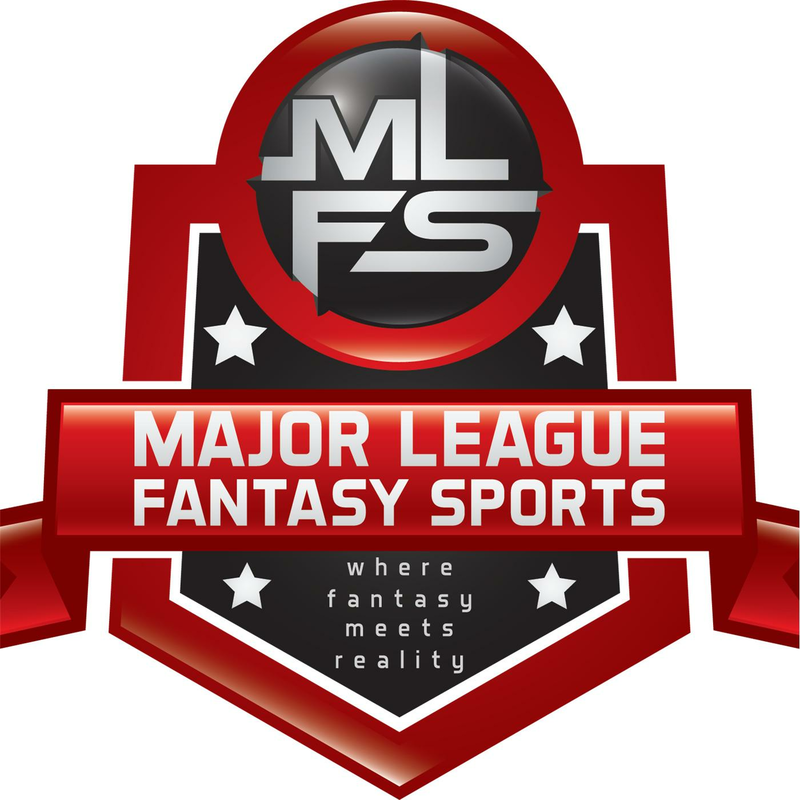 Major League Fantasy Football Show: Join Ej Garr and Corey D Roberts on Saturday August 22nd from 2-4pm EST for this week’s episode of the Major League Fantasy SportsShow sponsored by the Sports Palooza Radio Network. Call in live at 646-915-8596. This week’s topic is team back fields with question marks. Our line up of guests this week include Davin Joseph former 1st round pick and two-time Pro Bowl guard, Jeff Nelson defensive coach at White Hall H.S. in PA, and Lou Landers who is a writer with majorleaguefantasysports.com and the host of our Tuesday night football show beginning on September 15th from 8-9:30pm EST.